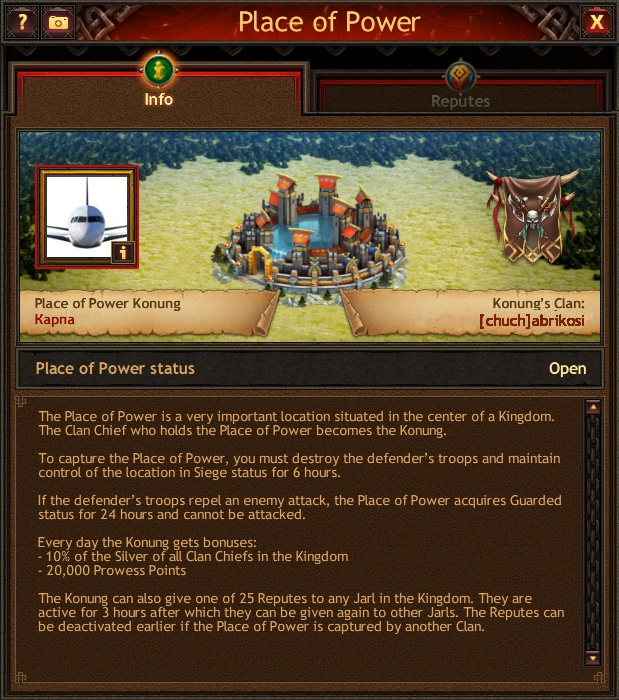 The Clan Chief holding the Place of Power is proclaimed the Konung of the Kingdom and can give Reputes to any Jarl in the Kingdom. Please remember that when the Place of Power acquires Siege status (i.e. the Jarl holding it changes), it stops bringing bonuses.